As you can see, there are many options for starting your online business. Having a travel webpage is not the only way you can take part. In every case, you must look for the participation conditions, as each travel affiliate maintains different requirements for its participants. Having skills in traffic arbitrage. Apart from those, people with no websites can buy ads in travel-related forums or in CPC programs and display their affiliate links there to make a profit. Even travellers can cut the costs of their trips by using their personal affiliate links. In addition, by sharing with friends they can get commissions. Be attentive to the networks’ rules, as some traffic types are forbidden. Most of the time, the use of iFrame, pop-unders, pop-ups, click-unders and toolbars is prohibited. Also, all the programs forbid contextual advertisements on their brand in Google Ads and other contextual networks. We have collected some of the top travel affiliate programs in every niche – flights, hotels, car rentals and so on. Flight affiliate networks give you an easy way to make earnings from your webpage. When visitors buy tickets by clicking the partner ads on your page, you, as the owner of the page, get commissions from the click or from a booking. 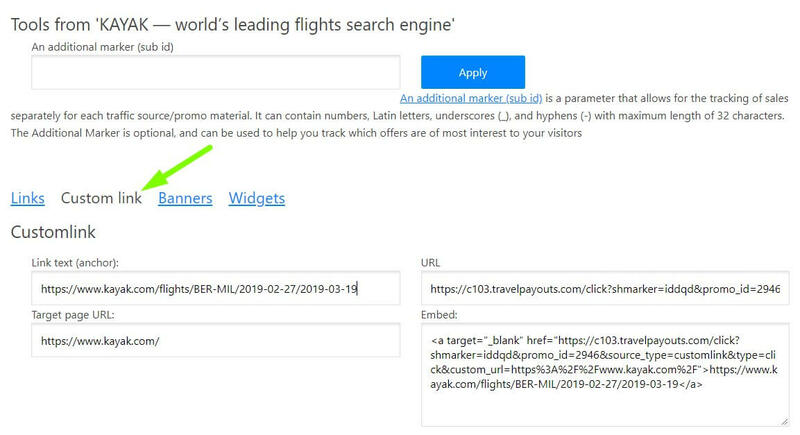 You can include a link in an article and transfer visitors to flight search engines, and get a commission each time your visitors buy tickets. If you have a well-known brand or do not want to share your visitors with foreign websites, you can use White Label. In this case, visitors can access the form and search results without leaving your page. What is flight White Label? Through White Labels, you can build your own flight tickets search service without any additional knowledge. This is a tool which allows you to build a flight service on your own domain and with your own logo. The tool is available in only a few networks, yet at the same time it is required just by a few amount of affiliates. Visitors searching for cheap flights on the Internet are interested in trusted brands such as SkyScanner, Jetradar, Momondo and so on. Therefore, building your own brand is a good idea if you already have an audience that trusts you or if you have time and money to invest in making people trust your service. Otherwise, the WL could result in a lower conversion rate than other tools would. This is one of the largest travel programs in the industry. While it offers various services for webmasters, it focuses on flight ticket sales. Its key product is Jetradar.com. Jetradar.com allows webmasters to work with traffic from almost anywhere in the world by providing services in 45 languages. Jetradar.com allows webmasters to work with traffic from almost anywhere in the world by providing services in 45 languages in many countries, including the USA, the UK, Germany, Brazil, South Korea, Singapore, Thailand and many more. Your profit is transferred by your choice: PayPal, ePayments or a bank transfer in dollars or euro. The minimum payout amount is $50 or €40. You can use any tool to maximize your revenue. The way you use the tools will affect your income. We have detailed instructions on how to use them better. Check these out! Up to 70% of revenue. High minimum payout for bank accounts ($500), while minimum payout for PayPal is $50. High-quality support service for webmasters and extensive knowledge base. Payment is just once per month. 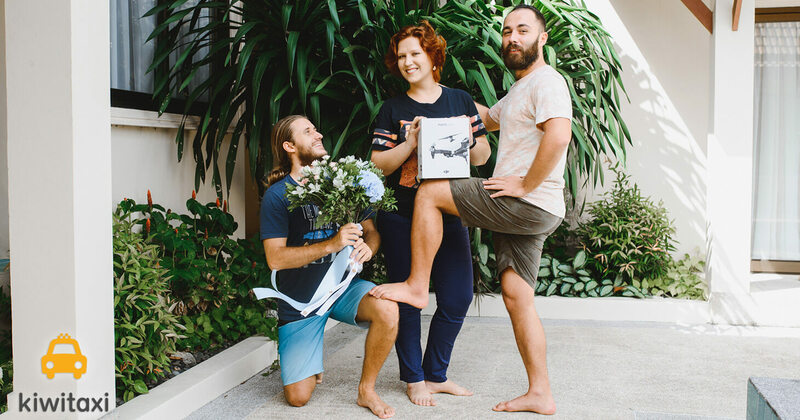 However, in case of an emergency, a partner can request early payment. 9 tools available, including free API, White Label and Mobile APP. Hard to earn on low-cost airlines. To better serve clients, Travelpayouts includes search results for low-cost airlines, but not all low-cost airlines offers commissions. Referral program is available only in Travelpayouts. This is a search engine for flights and rental cars. Skyscanner works with the PPC model and gives commissions for exit clicks. It offers a flights search in more than 30 languages, available in more than 50 countries around the world. Partners can get between $0.15-0.25 per exit click. The default exit click price may vary. It depends on the traffic quality. Payment depends on the offer you choose because, by working with many affiliate programs, Skyscanner maintains many different offers. Moreover, the commission rates vary from country to country. Unlike Travelpayouts, SkyScanner does not offer White Label access to everyone. Moreover, the API is available only to selected partners with large projects. On the other hand, Travelpayouts’ data API is available without pre-moderation, but access to the Search API is given same by the request. Well-known brand. Not available to webpages that do not have good traffic. Free API (but it’s hard to get access to it). Is possible to be blocked without receiving pending payments. Commission rates vary from country to country. Only 4 tools are available. This is a PPC-model partner program with a flight and hotel booking service. Anyone can join this network but a member must have a website to make earnings. You can use affiliate tools to earn on traffic from 60+ countries. Wego is available in 40+ languages. Your earnings depend on both the amount and quality of your traffic. WEGO pays for exit clicks that require your visitor not only see the search results but also click on one of them.For such clicks, partners can earn between $0.05 and $0.40 for flights and between $0.20 and $0.80 for hotels. Payment is made through PayPal or bank transfer. For PayPal, the minimum transfer amount is $100 while for bank accounts, it is $500. The two-month payout is made between 15th- 20th of any month. For example, if you are credited $100 in June, you will receive the payment from the 15th through the 20th of August. Wego API is a paid one. You must pay a $1,000 annual fee to gain access. The other tools are free. As with the competitors, you are not limited by the available banners; you can create your own and put your link on it. White Label. Payouts take 2 months. Anyone can join. API costs $1000 per year. Partner can be blocked suddenly because of poor-quality traffic. Expedia is a travel affiliate program with not only a flight network but also hotels, car rentals and more services. It allows you to offer services in more than 25 languages in 33 countries. Commissions on Expedia vary according to the product yet the rate for each flight ticket is 1%. Payouts are not sent directly; they are paid through awin.com or cj.com. Payment methods and minimum amounts depend on your Awin or CJ account. Most of you know Expedia as a hotel website, but the company focuses on flights as well. Expedia is one of the biggest players in the US and Canadian markets, with 400+ airlines included in its search list. It’s almost twice less than in Jetradar.com, but it’s still an interesting option. Large selection of tools. Works only through intermediaries (Awin or CJ). Well-known brand. Sales are not validated until the customer completes their flight booking. API. API is available only after strict selection. A webpage owner can get revenue from hotel bookings by working with major players in the market such as Travelpayouts, Booking.com, Agoda and so on. In your articles, you can include responsive widgets or search forms that allow visitors to search for rooms. As with flight affiliate networks, hotel networks have White Labels. Here, the logic is the same – you can build your own brand, but you must have a strategy for developing your project and making people trust in your brand. If you don’t, the White Label can cause you to have a low rate of conversion. This site has a widely known component for hotel search called hotellook.com. 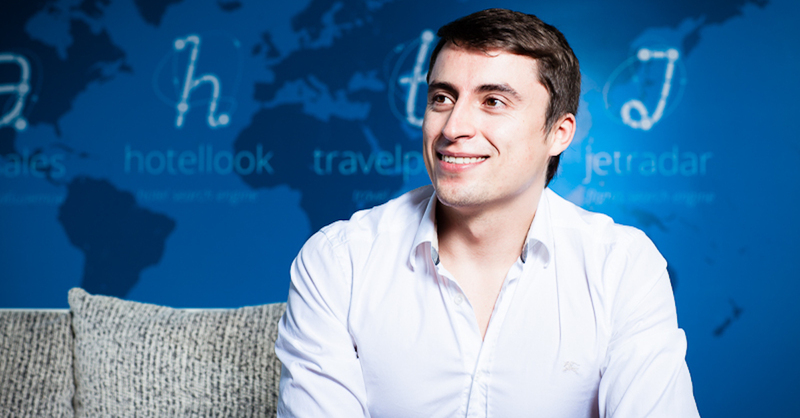 Through Travelpayouts, you can join the Hotellook affiliate program and earn by a CPA model. Tools are available in 59 languages. Immediately after you become a member, you can access more details and statistics in the member area. Payment period is 11th-20th of each month through bank transfer, PayPal and ePayments. The minimum thresholds are $500 or €400 for bank transfer, and $50 or €40 for PayPal and ePayments. You can integrate to your website a special map with the low prices. This is a convenient tool for your audience, allowing them to find the best price in a specific location. High commision. High minimum amount for payments to bank accounts; PayPal and ePayments have lower limits. 45 languages available. Booking.com is not available in search results via the White Label tool. Hotels.com and Trivago participate in the EAN – Expedia Affiliate Network. Trivago shutdown their own affiliate program on 31 March 2018. Learn more about it on this page. Now you can earn with just Hotels.com. Hotels.com provides an opportunity to compare hotel prices as members of the Expedia Affiliate Network in more than 75 countries and 40 languages. The only way to work with it is through a middleman that differs from country to country, such as cj.com in the US or Awin in the UK. Hotels.com gives money only from reservations. Commission on a reservation is around 4% to 5% of the room’s price. The exact rate depends on the intermediaries’ conditions. If you have a Payoneer card, you can easily get your revenue. Moreover, they can pay via bank transfer or cheques. As with a booking.com program, here you can use not only White Label (completely your brand) but also a co-brand scheme. In this case, your project’s logo will appear next to the official logo. Expedia has CPA model for hotel bookings. Working through intermediaries. Well-known brand. Middlemen and conditions of work change from country to country. Easy to lose the customer because Expedia practices aggressive advertising campaigns. Booking.com is a well-known platform that, in 43 languages, compares the prices of rooms in most countries across the world. The Booking.com affiliate program is directly available on official website and also in the Travelpayouts network. We offer clear conditions – you will get paid 4% for every booked hotel and get access to a set of tools. Our minimum payouts is $50, which is lower than the in-home Booking.com affiliate program. For your effective work, we’ve created a hotel search widget. The widget is translated into 13 languages. It’s unique and available only in Travelpayouts. Moreover, earnings are based on confirmation of the guest’s stay. Payments are made through bank transfer or PayPal, with a €100 minimum transaction requirement. Profit recognition occurs 30 to 60 days after the guest checks out. Unfortunately, Booking.com doesn’t provide a White Label. You can use only the co-brand option, in which your logo is placed next to the official one. A world-known brand. Individual commission split model. 43 available languages. Your visitors must not only book a room but also check out before you’ll receive your payment. Hotelscombined.com offers a great deal to monetize your traffic in more than 50 countries around the world, with 40 languages available through the PPC model. In terms of commissions, you’ll receive $0.50 to $2 based on your traffic quality. 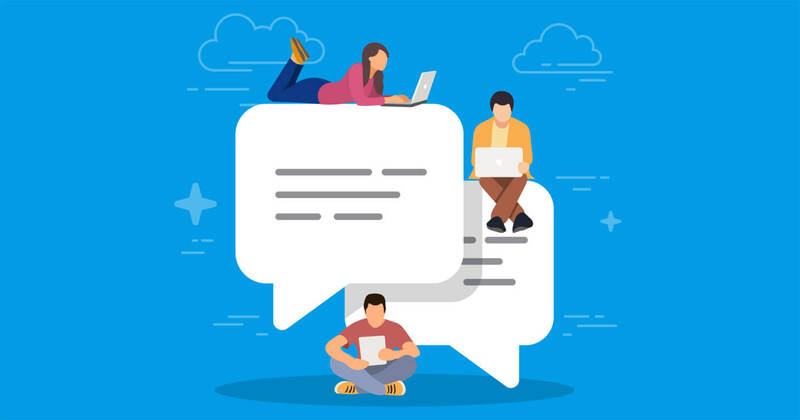 Cookie life of the partner program is 365 days, which means customers who click on the search results will be included in your revenue throughout the duration of cookie. There is a ‘Monetization Guarantee’ for new partners. You can individually insure your profits even if you don’t meet the minimum earnings level. Hotelscombined.com pays out once per month if your account contains at least $100 for PayPal or $500 for bank account transfer. APIs with data feeds are also available, but require prior approval. As we know from the partners’ experience, it’s very difficult to obtain approval. Usually APIs are provided only for big projects. Long cookie life. High minimum payout levels. 40 languages. Statistics are unclear and difficult to monitor. Agoda offers global choices and good prices through its database of more than 925,000 hotels in 50 countries around the world. In addition, it supplies personalization opportunities in 38 languages. In this partner program, checkouts are counted as your yield, not bookings or clicks. The margin is from 35% to 60% of Agoda’s revenue according to your conversion rate. This means roughly 3% to 7% profit from each checkout. You can get your margin only through bank transfer, with a minimum of $200 required before the transfer can proceed. In addition, a $10 transfer fee will be taken from your earnings. The program has only one widget – Hotel Power Ads. It is a convenient tool for presenting hotels’ offers on your website. An opportunity for personalization. Payouts are available only through bank account. More than 925,000 hotels. High-level minimum payouts. Transfer fee ($10) taken from your earnings. Complicated and unclear system of commission calculation. Thanks to TripAdvisor, webmasters can make use of tools to secure bookings worldwide. However, there is no direct way to participate; you can join only through CJ (Commission Junction) or Awin. In addition, it offers travel-related services in more than 500,000 cities throughout the world in 40+ languages. Your margin is 50% of TripAdvisor’s revenue. Four percent from room costs and €0.15 to €0.75 from click-out is shared with the partner. However, again, there is direct payment; it is available only via CJ or Awin. TripAdvisor has a content widget that automatically generates interesting offers for the reader. Earnings from both room costs and click-outs. Connection available only through intermediaries. Audience loyalty. No direct payment. With 3,900 hotels in 72 countries, Marriot offers any type of hotel for any type of tourist. Partners are paid for completed stays and vacation packages. From each checkout, partners can earn 4-6% of revenue. For purchased vacation packages, the revenue is 3%. A variety of text links and banners (of various themes and sizes), several data feeds/product catalogues, search widgets and content links are available for partners in the travel affiliate network. This offer has a narrow focus. To work with it, you should have an affluent audience, as Marriott hotels are usually expensive. Also, contextual advertisements with the brand are prohibited, so earning by traffic arbitrage is difficult. This program can serve as an auxiliary to another network, to offer direct booking on the official website. Some of your visitors might wish to book directly. In this case, the Marriot partners program is a solution for monetizing such traffic. Within Marriott’s affiliate program, you must join the regional affiliate – for example, US and Canada (Marriott.com), UK and Ireland (Marriott.co.uk), etc. Nowadays, many travellers seek a different activity or experience, like cruises, when they go travelling. Cruises are not only great opportunities for your travellers as an interesting and thrilling experience but also a great way to earn commissions. Cruise travel affiliate programs help you to provide extraordinary offers for your audience. For example, you have an informative article about travelling to UK or Australia, and you have already offered hotels booking, flight tickets, and car rentals as many of your competitors do. To make a difference and attract more audience, you can also offer cruises to UK or boat trips in Australia by joining a cruise ship affiliate program. Cruise Direct is one of the most famous cruise affiliates programs. You can offer limitless cruises from all over the world to your visitor by joining this cruise affiliate program. Thanks to their 45-days cookies, you are able to get your profit even though the visitors buy cruises after more than a month. How much is your profit? Your piece of this cruise pie is 3% of the gross sale. Do not underestimate that number; the average price of a cruise is $1000, so if a family of four books, you will receive $120. Cruises.com includes many different destinations with a wide selection from river cruises to long and luxury cruises. In addition to having many cruises in the world, it allows you to supply shore cruises for your audience. You can only join through a middle man, Commission Junction, to become an affiliate. As for the commission, you can get 3% from online booking, while you get 2% from bookings by phone. This cruise booking affiliate program is a bit different than the previous offers. It is a kind of cruise search engine to find the best offer for your audience in the Internet. It searches many offers in many websites and show the results that the visitor needs. 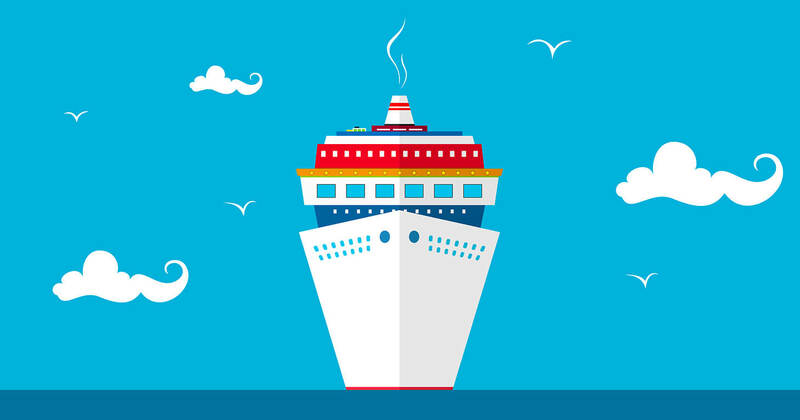 The commission they share is 3% for any cruise service booked via your website. You can join the cruise affiliate program in their website, without a middleman. In the travel industry there are not only flight and hotel services but also cruises, excursions, rental cars and local players. Such services are worth to try as an additional income for webmasters. 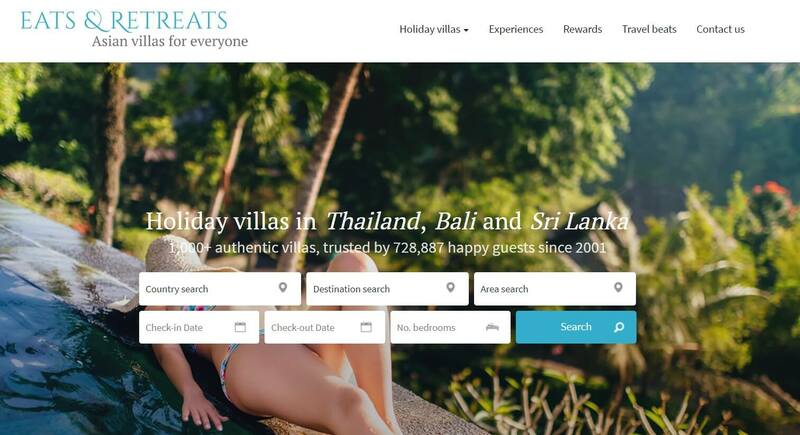 Eats & Retreats is a well-established platform which has been operating since 2001, for booking anything from budget to ultra-luxury villas in South East Asia. Eats & Retreats has over 1,200 properties throughout Sri Lanka, Bali & Thailand. To sign up, register directly here or contact the company’s representative who will help you through the setup process. Once registered, you will obtain a unique tracking code and further instructions for implementation. 6% commission on all bookings with no minimum requirements (unlike popular providers with multiple tiers and less commission). Additionally, the commission is calculated on the booking value, before taxes. Sales range anywhere from $1,000 to $25,000, meaning you can easily earn $1,000 or more per commission. The cookie window is 60 days, double the industry standard of 30 days. Another travel-related service you can offer your visitors is car rentals. This is mostly for individual travellers who prefer to move inexpensively and relax inside a city or to move freely between cities. To earn more in a travel niche, you must expand the number of services your website offers. Therefore, car rentals are what you need. Skyscanner has both flight and car rental partner program with many opportunities. However, rentalcars.com is one of the leading, most trustworthy options. It is a member of the Priceline Group, which includes other travel giants: Booking.com, Kayak and Agoda. With 214 companies in 28,000 locations, rentalcar.com is a very prestigious resource for your website. Forty-three languages are available for all partners. The more bookings you secure, the higher amount your earn. Therefore, your piece of the pie depends on your productivity and agreements. VIPCars.com offers transportation in more than 20,000 locations across the world. It has 12 language options, such as English, German, Chinese and so on. Hertz, Avis, Sixt and Europecar are the leading suppliers for car rental offers. However, the service also includes other car rental agencies. Two days after you register for the affiliate program, you will have received an e-mail of approval. After that, you can join the network and start working. Usually, moderation requires you to wait; after that, the program offers fast affiliate support. The VIP Car Hire affiliate program shares 50-70% of its service revenue with partners depending on traffic quality of your website. GetYourGuide gives your visitors great options in 2,300 cities with 23,000 products. It allows visitors to look for excursions in 16 languages. Moreover, you will start with a share of 6%. Depending on the quality of your service, that share may rise up to 10%. Transfer of your sharing is possible only via bank account on the 5th of each month. The minimum transfer amount is €50, £50 or $50. For travel guides and materials, both printed and digital, Lonely Planet publications are among the best to offer your visitors. Lonely Planet shares guidelines for destinations based on the experiences of professional travellers. This type of offer can enhance your earnings. To promote this service on your website, you must join an affiliate provider such as Commission Junction (Asia Pacific) or Awin (UK or USA). Commissions are 15% of the final price. Working with the Lonely Planet affiliate program is very convenient, as this company is a very powerful brand. In many destinations, it has almost no competitors or analogues. A webmaster can get additional profit by joining local players like transfer/taxi services, local tour guides, exchange offices and so on. To find such local player options, search for the destination in Google. Sometimes you must search in the local language. In this market, there are many partner programs with different options. However, the answer for the best of them is to determine what you need and want to offer your visitors. Therefore, you must work with many of them to see which are best for you. 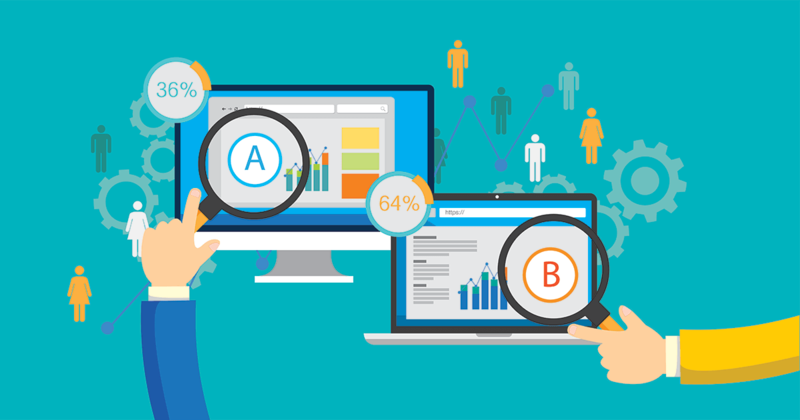 In the process of choosing, consider the conversion rate and tools of networks. Also, check the quality of the products offered to your visitors. Poor-quality products will not bring you revenue even if the earning rate is high. Travelpayouts is one of the best travel affiliate programs in 2018, with the widest range of tools, the highest conversion rate and a detailed database. It lets you increase your profit up to 70% and offers a fast support service. Moreover, audience loyalty is one more plus of it. To find the best, try it now.